Steven Denney is a PhD Candidate in the Department of Political Science at the University of Toronto. He holds an MA in Global Affairs and Policy from Yonsei University (Seoul) and a BA in Political Science from Harding University. With a primary interest in Korean politics and society and the political economy of Northeast Asia, Steven has published in The Asan Forum, The Review of Korean Studies, The Stanford Journal of East Asian Studies, the British Academy of Korean Studies (BAKS) Papers, and The North Korean Review. He writes regularly for The Diplomat, an online current affairs magazine, and is the managing editor for SinoNK.com, a research site for Koreanists and Sinologists working in the digital humanities. 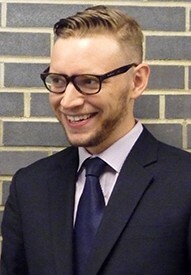 Advised by Professors Joseph Wong, Andre Schmid, and Neil Nevitte, Steven’s dissertation research focuses on the variations in South Korean political attitudes and social identities with a focus on inter-generational changes and the rise of a “new” nationalism among young South Koreans.